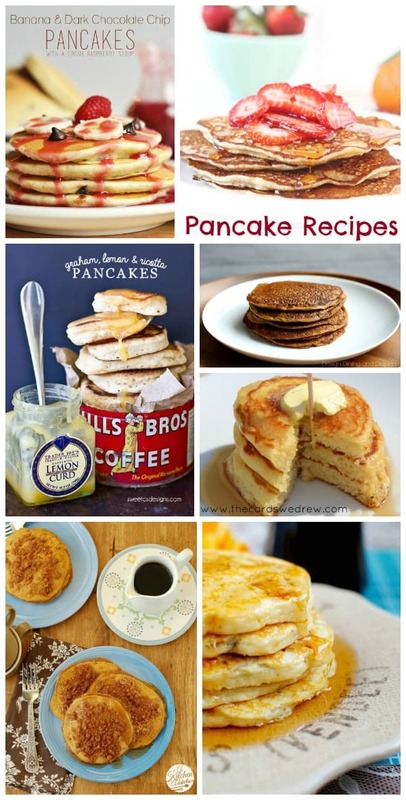 Whether you’re planning a special slumber party or just a delicious brunch for your family, you’re sure to find some delicious ideas in this creative collection of pancake recipes. I have a feeling that you are going to want to try more than one of these recipes – I know I do! This is a collection of recipes from other talented bloggers and masters in the kitchen. To view the full recipe for each, simply click on the title of the recipe and it will open in a new window for you. For even more delicious ideas, be sure to visit our special Slumber Party category. 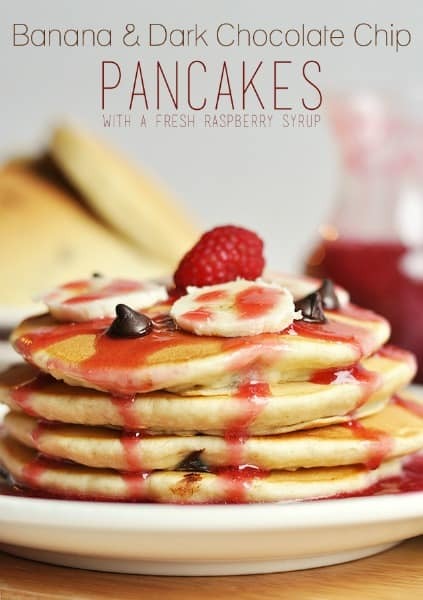 These Banana & Dark Chocolate Chip Pancakes (pictured above) by Cherished Bliss look absolutely delicious. They also share a yummy recipe for raspberry syrup to drizzle on top. This is a recipe that I’ll have to try sometime soon! 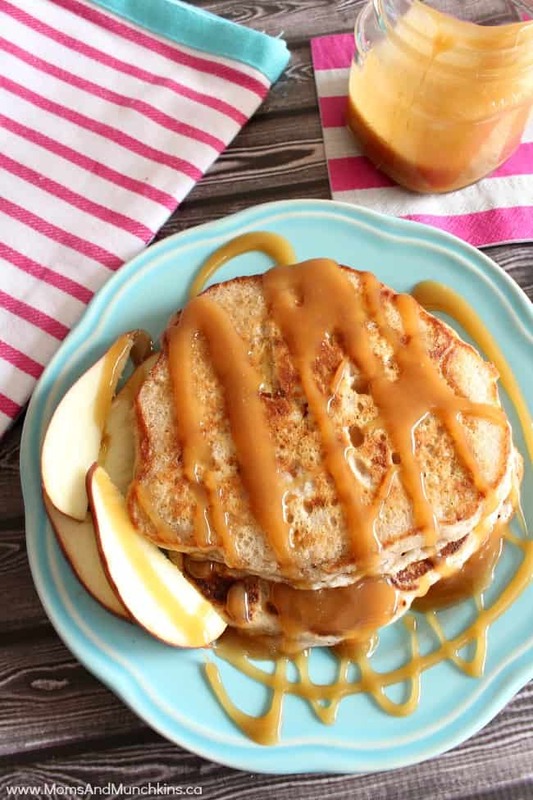 This is one of my favorite recipes but it’s super sweet – Apple Cinnamon Pancakes with Caramel Syrup. 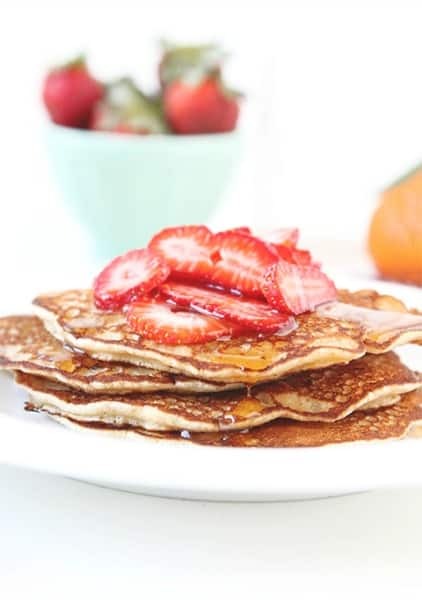 We already know that strawberries & cream pair well together but did you know they also make for delicious pancakes? 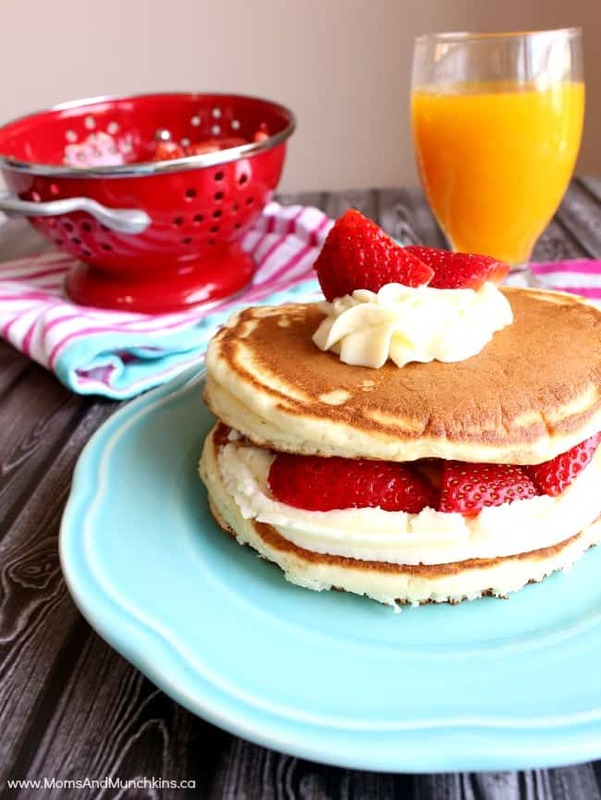 This Strawberries & Cream Pancakes recipe is perfect for a sweet Sunday brunch. When a recipe is passed from family member to family member, you know it has to be good! These Banana Pancakes by Iowa Girl Eats look tasty and I can see why they’ve turned into a family tradition. 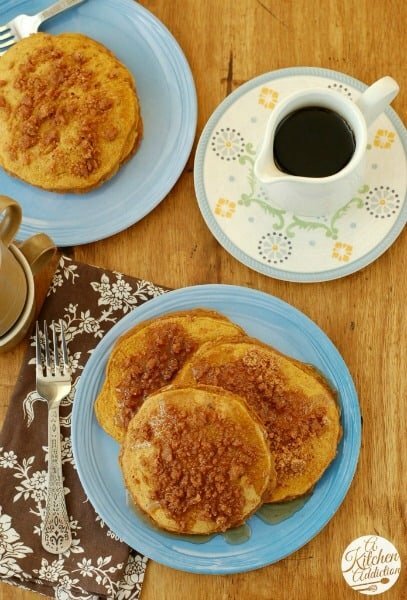 I love streusel topping on top of desserts and muffins so I must try these Cinnamon Streusel Pumpkin Pancakes by A Kitchen Addiction. 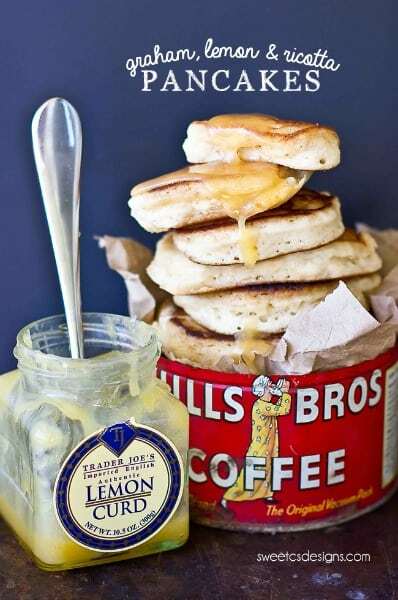 It may start with a boxed mix but these Graham Cracker, Lemon Curd and Ricotta Pancakes by Sweet C Designs are far from ordinary! 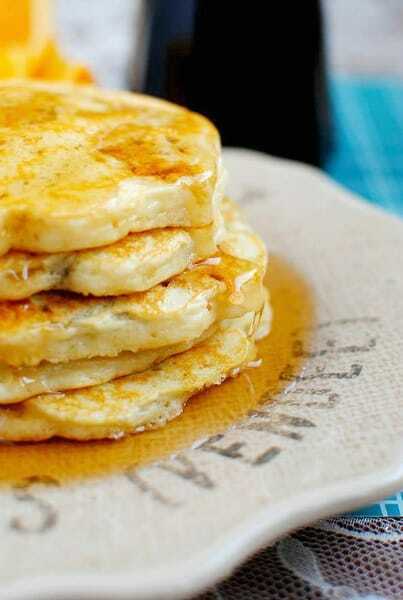 These Whole Wheat Pancakes by The Faux Martha are thin and light for those of you who don’t like fluffy pancakes. Planning a slumber party but not sure if you want to serve muffins or pancakes? Good news – you can have both! 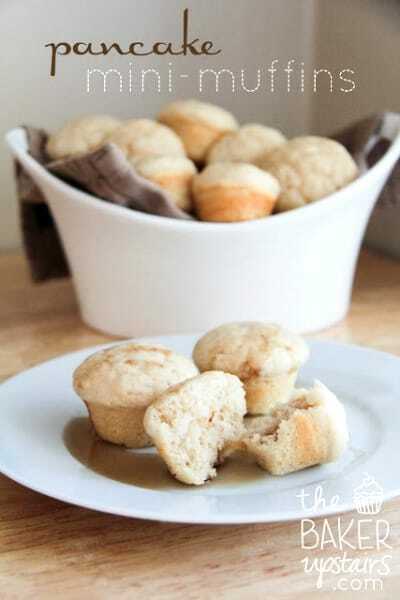 These Pancake Mini Muffins by The Baker Upstairs look both adorable and delicious. Having guests over that have special dietary requirements? 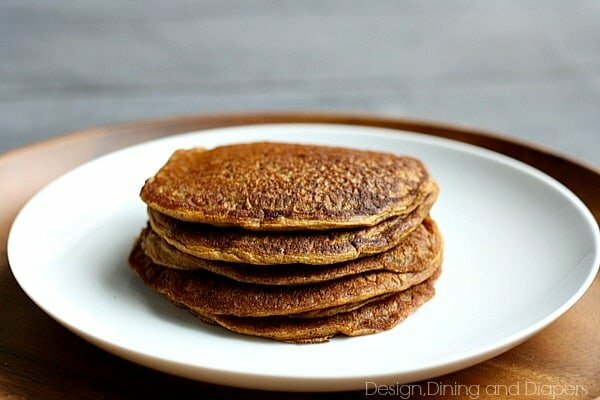 Then you’ll want to check out these Gluten-Free Dairy-Free Pumpkin Pancakes by Design, Dining & Diapers. 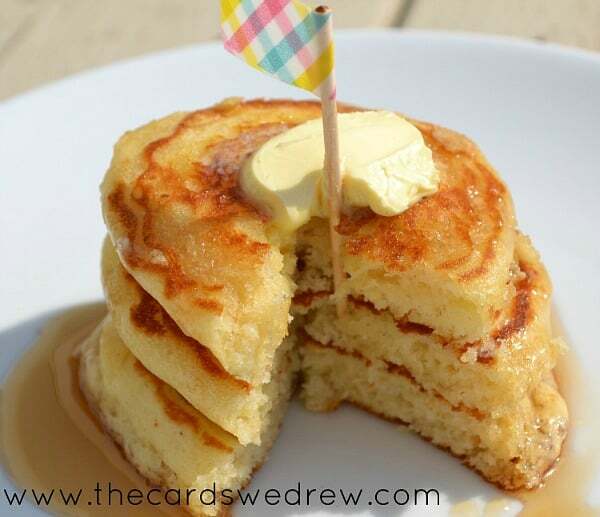 Kids won’t be able to resist these Mini Buttermilk Stack Pancakes by The Cards We Drew. Don’t forget to visit our special Slumber Party category for more ideas like recipes, slumber party games and more! I cannot wait to try your recipe!